Islay has several Celtic crosses, one is the Kilchoman Cross. This is a view of it during a moonlit November night, the cross illuminated by the Moon but many stars still visible in the mostly clear night sky. 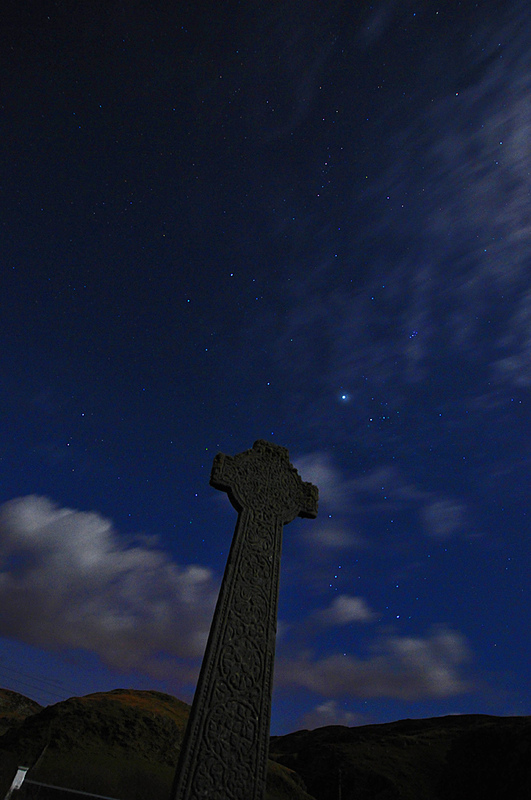 This entry was posted in New Post, Night and tagged Celtic Cross, Islay, Kilchoman, Kilchoman Cross, Moon by Armin Grewe. Bookmark the permalink. Yoor Wullie mentioned this Image on twitter.com. Lord Gez of Baudeep mentioned this Image on twitter.com. robert smith mentioned this Image on twitter.com. v_MAR mentioned this Image on twitter.com. Skulamus mentioned this Image on twitter.com. tartanroots mentioned this Image on twitter.com. maureen fairgrieve mentioned this Image on twitter.com.